The table clock Hannah by House Doctor is timelessly beautiful. 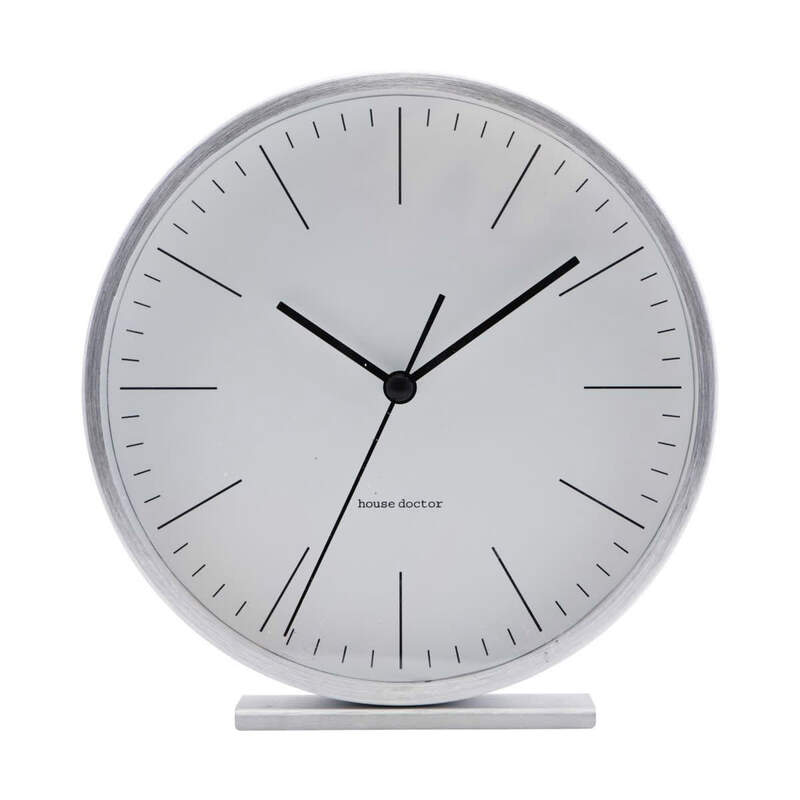 The classic dial with the narrow silver-colored profile is classically modern and fits in every home. Whether on the side table in the bookshelf or on the windowsill - the table clock is everywhere an eye-catcher. Without alarm.